Wendy has a true passion for bringing creativity and singing to the local community and families. From a young age she has been involved in theatre and performing. She has been a proud member for several years of the Port Sunlight Players and in her earlier years Thornton Players performing in lead roles such as Dorothy in the Wizard Of Oz. 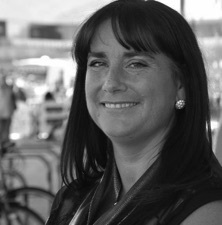 Wendy believes in community spirit and helping local people achieve their goals and this is very apparent in her work. She has coached local children in swimming, gymnastics and also trampolining which she has delivered with her fellow trainer and husband Mike. She believes that activities such as these and creative activities from SingMe Merseyside are vital for local people to express themselves and have fun doing so. Alongside this Wendy is friendly and a fantastic organiser, a great mum and SingMe Merseyside is proud to have her on the team. 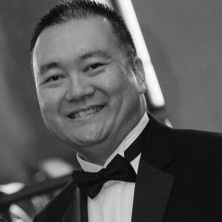 Billy is a musician, entertainer and presenter known for his work locally and internationally since 1988. He regularly performs at live events in venues such as Parr Street Studio2, The Unity Theatre, The Empire Theatre, The Philharmonic Hall, The Floral Pavilion Theatre and for The Variety Club to name but a few! He has also had many years experience in the radio industry starting out in hospital radio during the mid-1980s leading to various roles including presenting the weekday breakfast show on Soul FM UK and nowadays, he can be heard on his weekly show on BBC Radio Merseyside. As a result of his experience broadcasting and entertaining, Billy has also regularly acted as compere for live events in local venues such as the Floral Pavilion Theatre, The Adelphi Ballroom and St George’s Hall. Although classically trained on the piano, Billy now utilises his musical and performance skills in many different genres and styles. He is now proud to be creating, performing and leading classes and activities for SingMe Merseyside. SingMe Merseyside proudly delivers weekly singing, performance and creative activities at various locations around the local area. 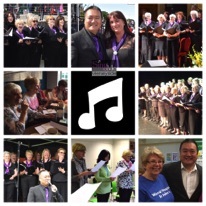 The infamous SingMe Singing Club Choir consists of 8 groups that meet weekly in different venues across Merseyside and Cheshire and presently consist of over 360 members. Together, we perform a wide range of songs with live accompaniment led by Founder & Musical Director, Billy Hui and assisted by Choir Manager & Administrator, Wendy Williamson. 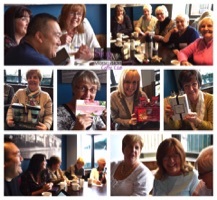 SingMe Merseyside has a strong belief in providing a platform for its members to socialise, learn and perform in a fun and relaxed environment with the aim of improving health and general well-being. In addition, SingMe Merseyside have confirmed performances in major venues throughout Merseyside and Cheshire with an average of two performances per week and are closely linked with several local and national charities to support the processes of fundraising and increasing awareness. But SingMe is not just about singing! Alongside our classes and performances, we also deliver the SingMe Coffee Club in conjunction with Starbucks where everyone can join in with a fun quiz whilst enjoying some tea, coffee and cake with a chance of winning a small prize each and every week! All of our classes and activities have one thing in common - fun! We truly believe that having fun whilst being creative is of great benefit to health, wellbeing and can be a fantastic morale booster! We also firmly believe in a sense of community so every 2 months, we have a SingMe Together week where all of the SingMe family of classes and activities will come together to socialise, sing and find out more about each other! So what are you waiting for?! Come and join us! All of our classes are on a pay as you go basis to be flexible and inclusive and are only £6 per session! With our wide range of activities throughout the week, there will be something that you may have always wanted to do at a time that will suit you or you may just want to socialise. Either way, we would welcome you to join the SingMe family and... be part of something bigger! Start by clicking HERE to find your nearest class! Don't forget to like our Facebook page and to follow us on Twitter to interact with us and keep right up to date with performances, events and activities inbetween editions of The SingMe Merseyside Online Magazine. Just click below!